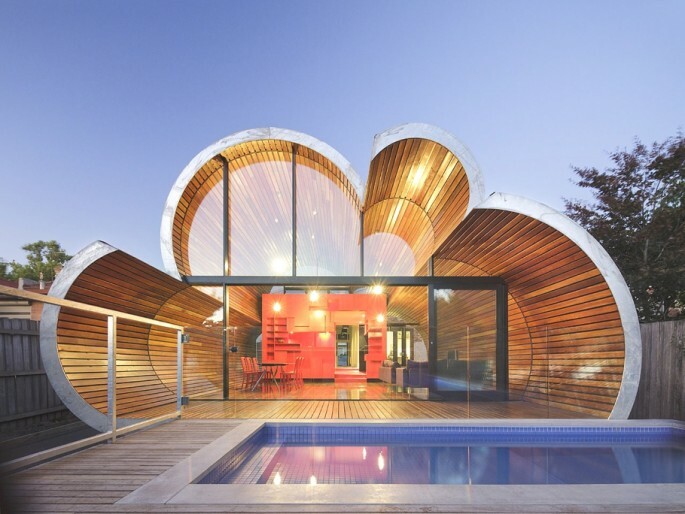 McBride Charles Ryan an Australian design studio has completed the Cloud House project. 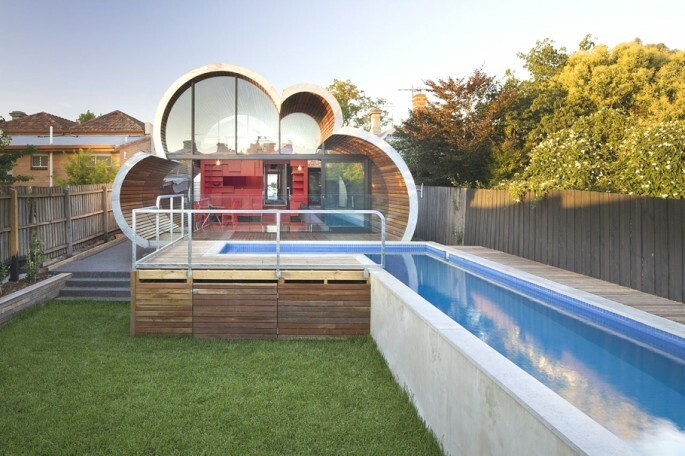 The contemporary property can be found in Melbourne, Australia. 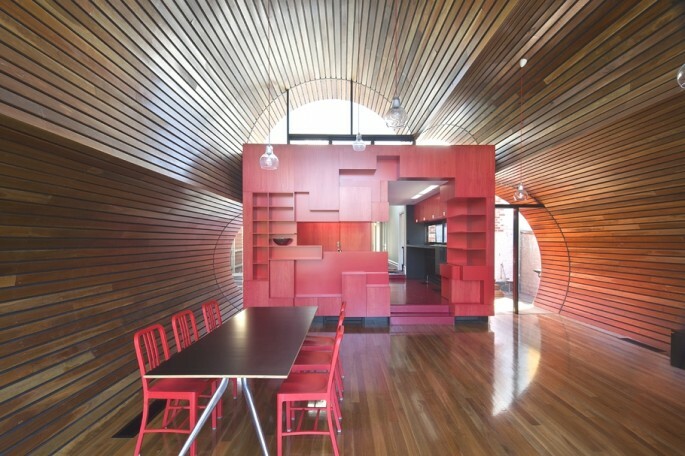 Cloud House is an addition and renovation to a double-fronted Edwardian house in Fitzroy North. 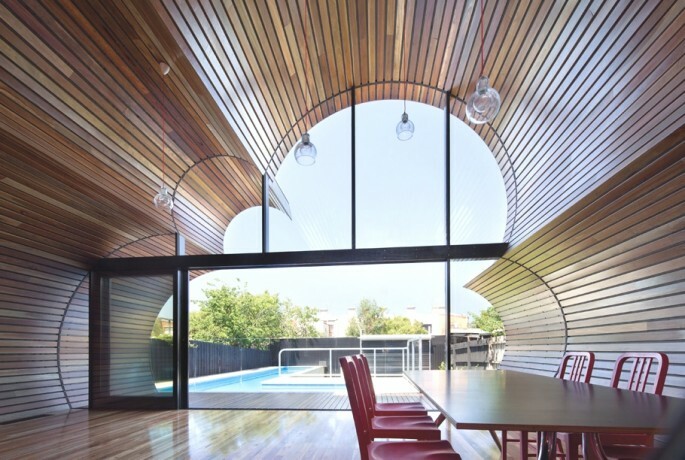 Over the course of close to a century, this house has received several additions and modifications. 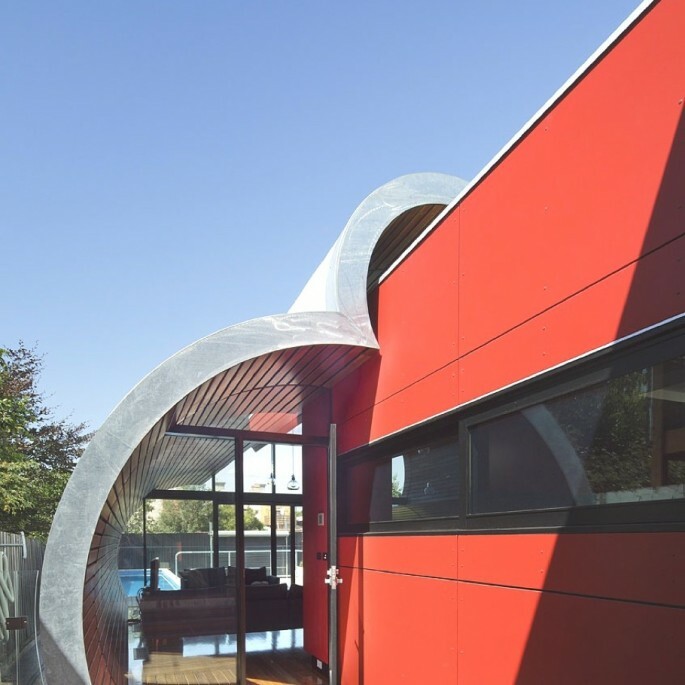 According to the architects: “McBride Charles Ryan’s work for the contemporary Australian house is designed in three parts. 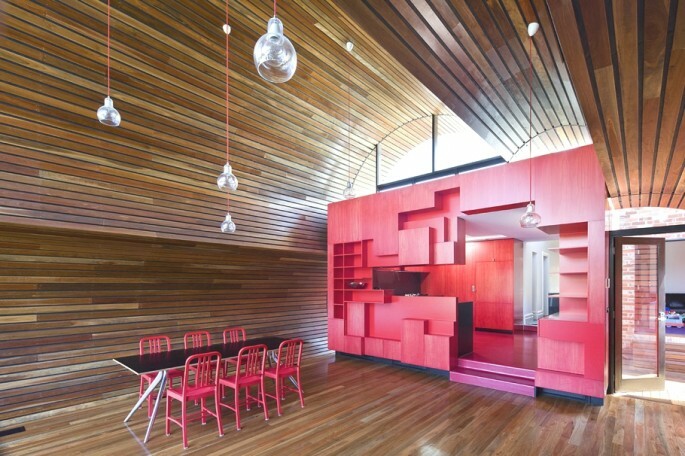 This allows for a sequence of distinct and unexpected episodes, with glimpses previewing oncoming spaces and experiences as you move through the home. 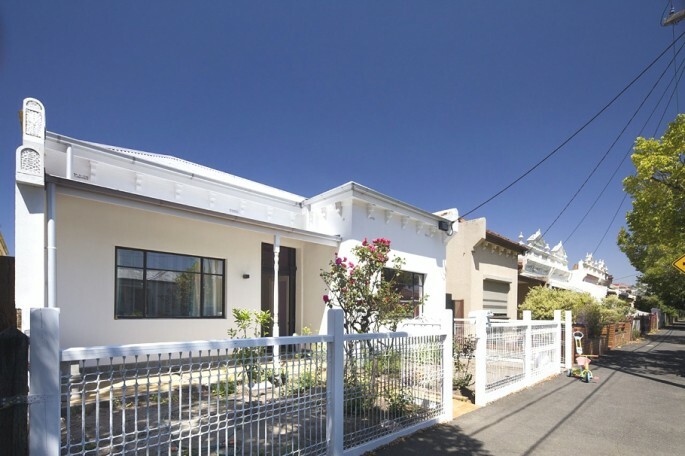 “The street facade has been left to demonstrate the clients’ respect for the evolution of the character of the area and the modest street alteration belies the extent of the comprehensive internal renovation work. 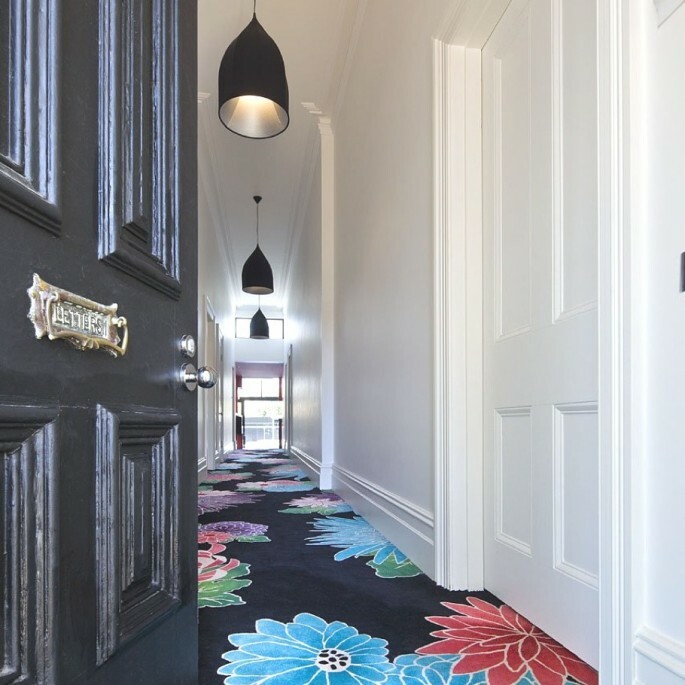 The spaces within the original structure are largely white in colour, united by exotic floral hallway carpet. 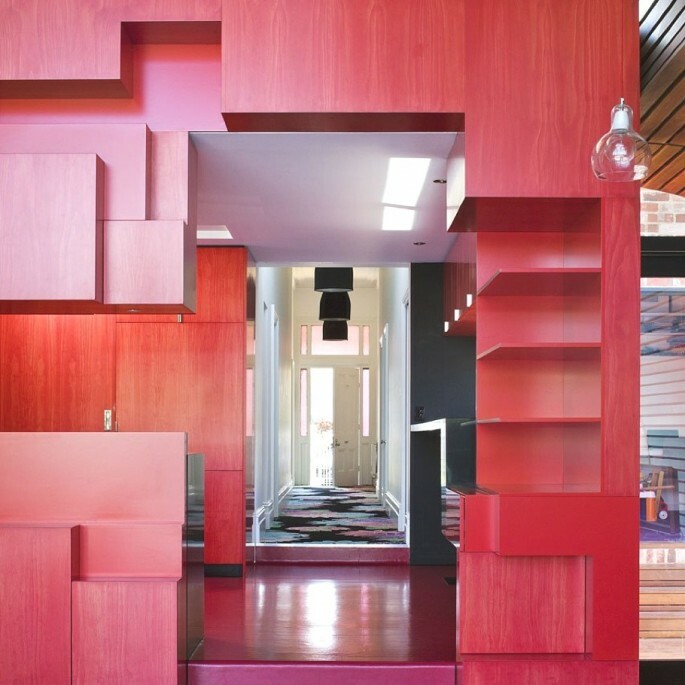 This journey through the space is followed by encountering a disintegrated red-coloured ‘box’. 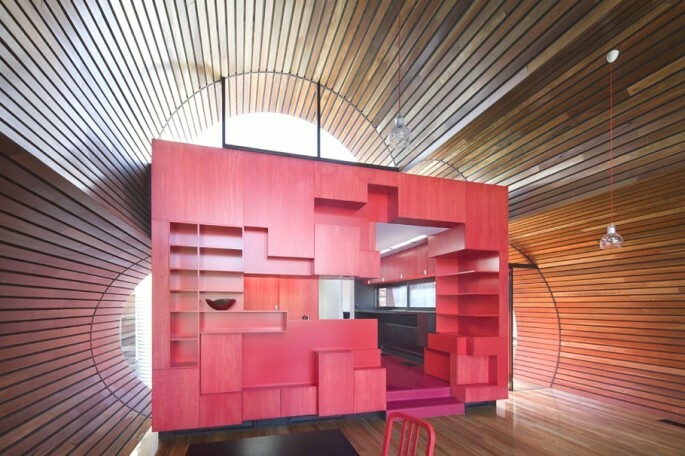 This is the kitchen, at the heart of the contemporary Australian property, which acts as a bridge linking the major spaces. 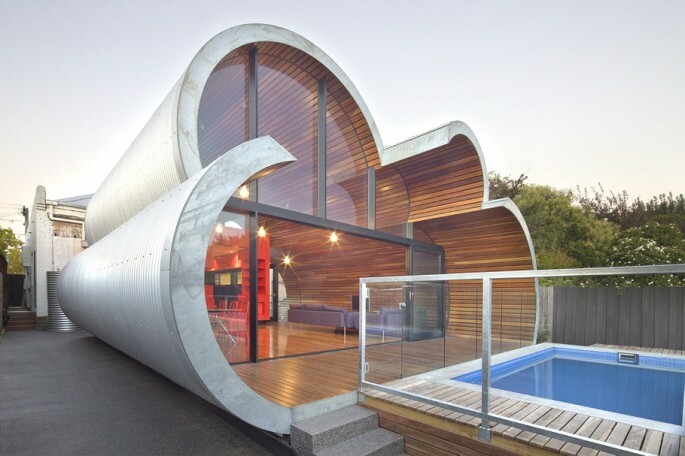 A cloud-shaped extrusion is the unexpected final space. 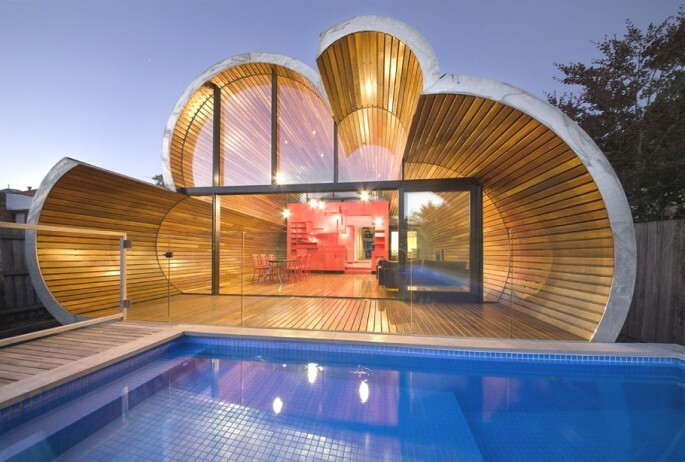 Following the form of a child-like impression of a cloud it is a playful addition where family and friends can eat and have fun surrounded by the curved form.